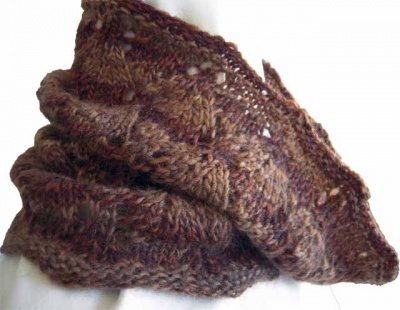 Leaves is a super-easy cowl that is knit in the round. 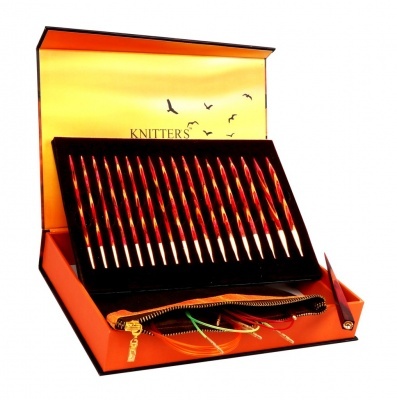 The only stitches used between casting on and binding off are knit, k2tog, and yarn over. That's it! The pattern is written for three sizes, but any size can be made by simply changing the number of leaves and the number of repeats. Laura writes: "When I saw this fabulous leaf pattern I knew I had to do something with it. 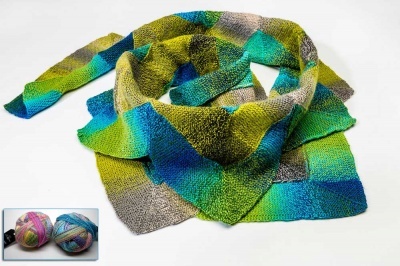 I originally thought it’d work in a lacy shawl or scarf, but in swatching it I found that it looks much better knit with thicker yarn. 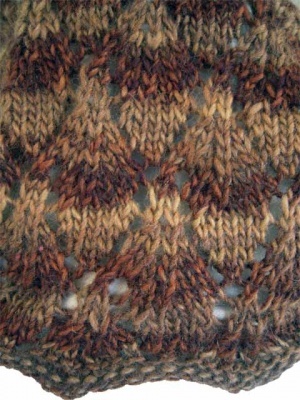 I remembered this fabulous brown yarn in my stash that was in sore need of a project, but didn’t have much in the yardage category. 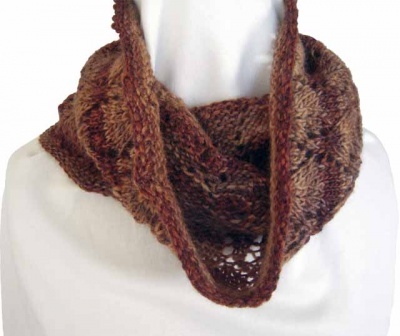 The stitch and yarn paired beautifully in this cuddly cowl. 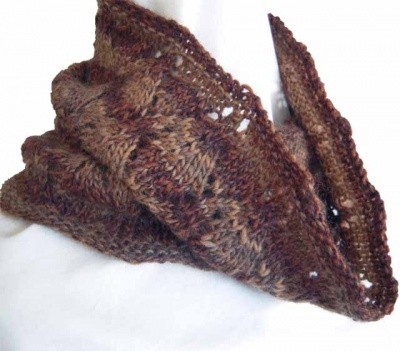 "Cowl is knit in the round, and benefits from both loose cast on and bind off rows. The pattern is written in three sizes: snug, cuddly, and super drapey. The snug size is designed to snug up close around your throat; the cuddly size drapes a bit in front, and can be pulled up over the back of your head when the wind blows; and the super drapey size will hang low in front, or pull securely over the head like a thick hood with enough left to keep your chest warm when winter winds threaten to invade."